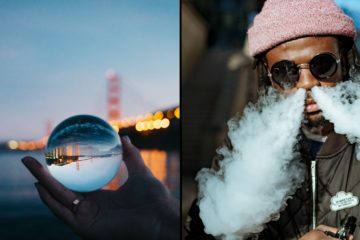 Digiflavor are a company that are actually under the Geekvape umbrella of business. Not a well known fact but, they serve to be the main rebuildable product division of the company. 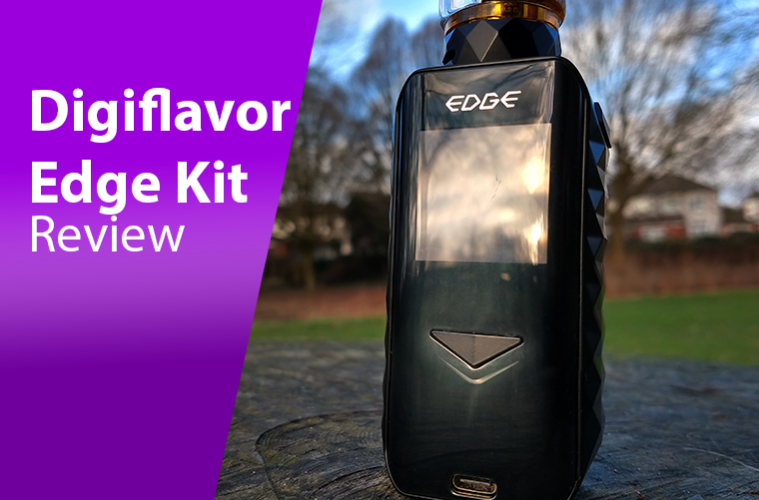 However, with the release of the Edge kit, can Digiflavor boast their own must-have device or do Geekvape keep the best for themselves? 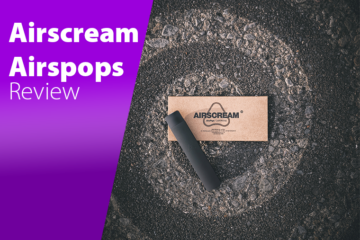 It boasts the AS chip-set that Geekvape use as well as the option of wireless charging. 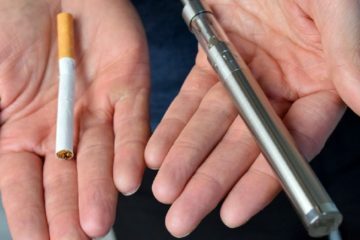 Let us have a look into the Digiflavor Edge kit. The Edge kit is the first regulated kit released by Digiflavor, a far cry from their usual products. 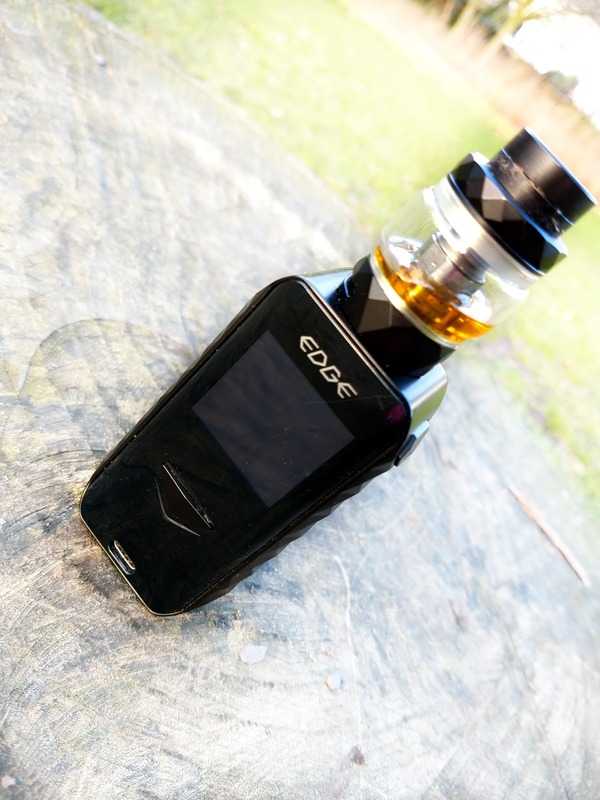 The Edge is a 200w device that is powered by dual 18650 and comes with a variety of options to use. The device has a right slanted fire button hidden into the design of the device and a front blue-coloured screen giving a variety of different options such as various temperature control and bypass modes. The battery back panel is released with the button located on the bottom of the device to release the lock and comes with battery ribbon inside also. The device has a centred 510 pin with space to fit up to 27mm atomisers on top and 2 navigation buttons with a USB port underneath the screen. The device comes compatible with wireless charging with the charging bay (sold separately) which charges at 1.1amp rates. The menu system is operated using 3 clicks of the fire button and the navigation buttons to move between options, with the fire button taking the user down to each menu option. 5 clicks with the device turns the device off and there is also an option to manually adjust the resistance of coils as well. The Spectre tank is a 5mil capacity sub-ohm tank which comes with a top half turn removable top for filling, a replaceable 810 drip-tip and bottom adjustable airflow. The coils are rated 0.2 and are recommended between 60w-80w. 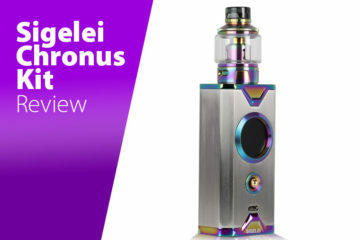 The device, powered by the Geekvape AS chip, is as excellent as you would expect, offering fast accurate firing and brilliant temperature control. Battery life on the device is excellent also, outlasting the Aegis Legend by several hours and probably just short of the Geekvape Nova. So, the device will last a long time in between charges and last well over a day with regular use. The menu system is simple but very user friendly with added memory modes to allow switching between tanks easier and it is all done through the fire button and navigation button. The placement of the fire button is another big plus point for me because it feels really comfortable but the slanted design offers protection against accidental firing due to the angle of the button itself. The device has a lovely weight to it, making it feel really sturdy without feeling heavy in the hand. 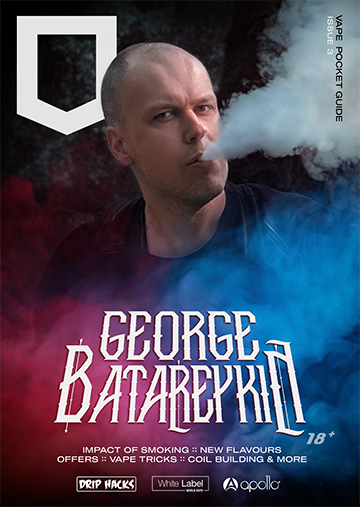 The Spectre tank coils offer brilliant performance and durability with the coil standing up to several different flavours over the time of using them including sweetened juices. The flavour is pretty good for a sub-ohm mesh coil, not the best but a nice vape when bought with the kit. The top fill design is nice and easy with a simple half turn to remove and 2 large fill holes underneath which removes bubbling when filling the tank. 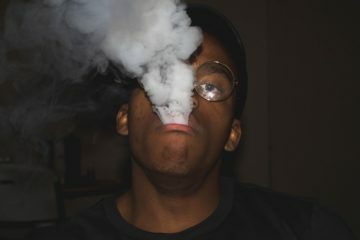 The capacity is also a great addition with 5 mil out the box meaning you will be vaping for a while before refilling. The front of the device is quite prone to scratches I found, with one developing almost within a week of using the device. So, the glossy finish may not stand up to general wear and tear without looking a little scuffed by the end. 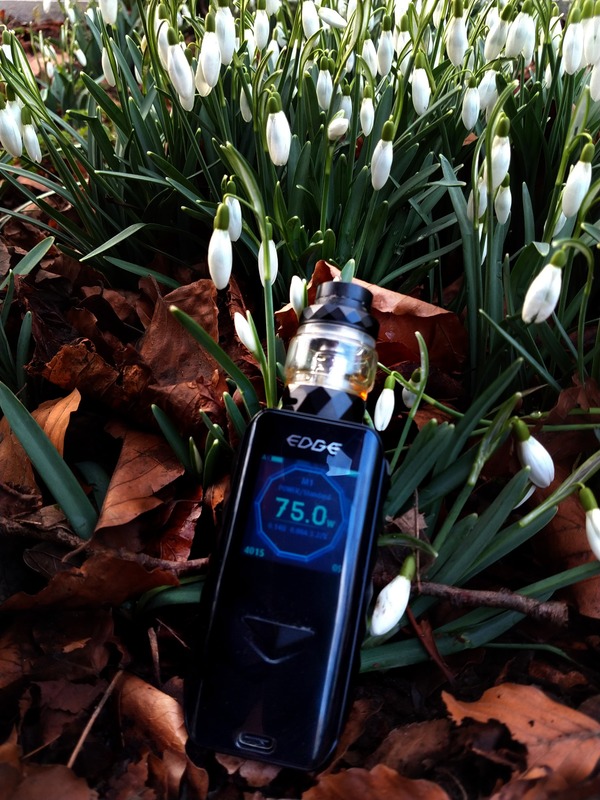 The lack of a navigation button lock is a little bit of a hindrance for vapers, although turning the device on and off is quick and easy enough. Although designed really well, the button on the bottom of the device for the battery door potentially could release unexpectedly if pushed against something inside a bag/pocket although on flat surfaces it will not have that problem. The wireless charging is another con for the device simply as it does not charge fast enough for it to be a viable option of charging you batteries, although not recommended compared to a external charger anyway. The flavour from the Spectre tank is a little less strong than compared to other tanks on the market which may be a negative for some people. 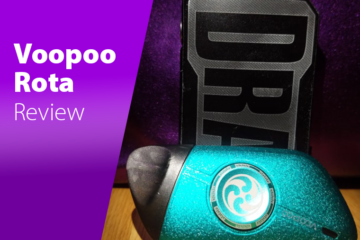 Compared to the Geekvape Alpha for example, the tank does seem to trade wow factor for performance so it may not be a long term tank option for vapers. The shorter 810 drip tip supplied may be a personal con for some people who prefer taller drip-tips but this can be changed is required. It has to be said, the Digiflavor Edge is an excellent piece of kit. This proved to be a big surprise to me as I expected the different name on top of the box to represent a lesser quality than Geekvape’s usual offerings. 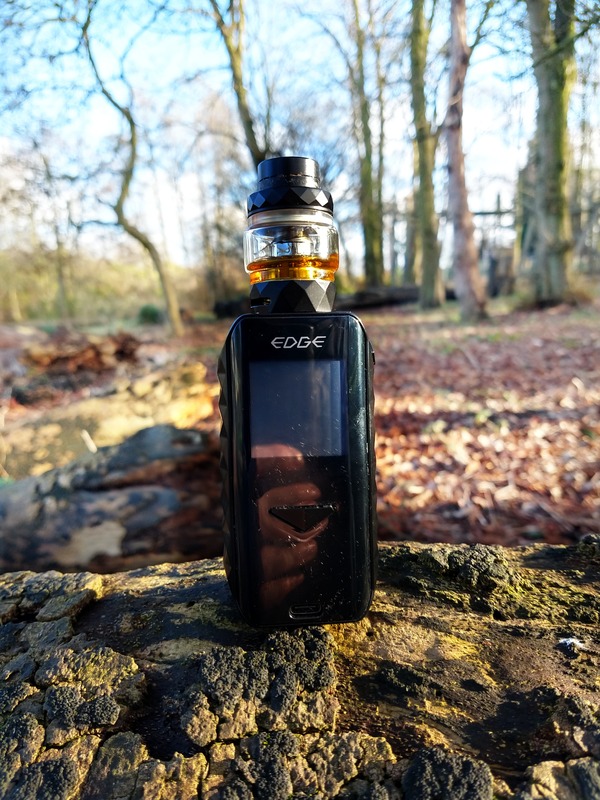 However, the Edge has proven to be the Geekvape equal in terms of design and performance with potentially a real option against the Drag 2. Offering fantastic chip performance, uniquely designed fire button placement, and the little extra space on top for bigger atomisers, the Edge could well be one of the surprise hits of the year. 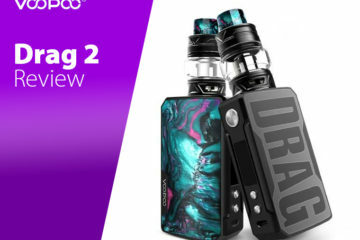 If this device carried the Geekvape name, it would be labelled as potentially the Drag killer, which is high praise indeed.